If you don’t exactly fit the reader being hailed by the title of Leah Buley’s book, don’t be dissuaded. Regardless of your team size, experience, or working conditions (in-person vs. remote, in-house vs. freelance), this book is a valuable resource worth the time and shelf space. As she states in her section on evangelism, “it’s the conversation that’s key,” and this book provides a lot of advice about how to engage in important conversations with internal stakeholders and potential users. Still, Buley is first and foremost a UX practitioner. She recognizes that we rarely (if ever) work under ideal circumstances. As such, she provides a lot of hacks and tips for working under constraints, regularly flags how to accomplish the same (or similar) results working remotely, outlines the estimated time each method will take, and ends every chapter with a note on what’s most important, if you can only do one thing. Buley, and the team at Rosenfeld Media, have done a great job of creating a book that practices what it preaches. 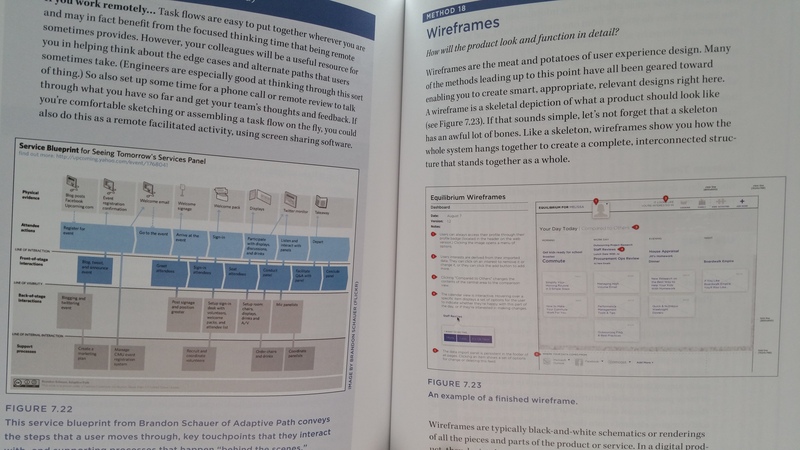 While I’ve seen UX readers of comparable length that don’t even have page numbers, the user experience while reading this book is nearly flawless. For example, each chapter begins with a guide that shows where you are in the book, how long that chapter will take (relative to other chapters), and how close you are to finishing the book. This allows those of us reading cover-to-cover to block out the appropriate amount of time to get serious reading done without ever having to race to the end of a chapter before our eyes droop or our lunch break ends. Additionally, the chapters are broken down into appropriate and rapidly digested subsections that are clearly marked in the table of contents and the index in the back of the book is well designed for any other searches. 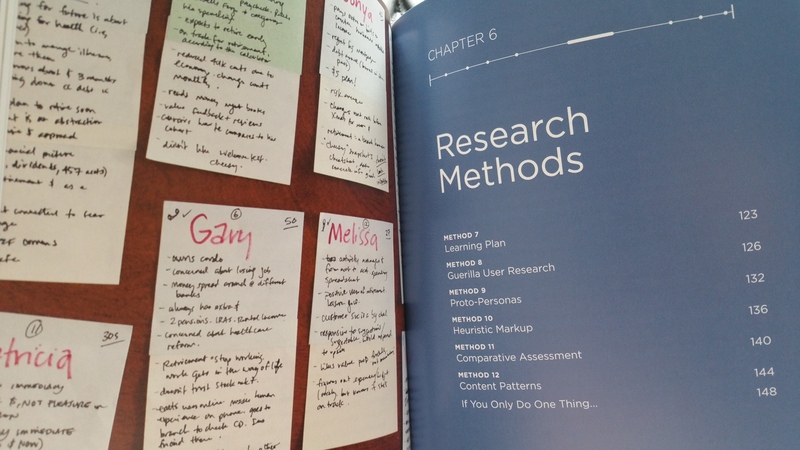 For those who are new to UX, there are also some great resources in Chapter 4, “Growing Yourself and Your Career.” Buley provides readers with plenty of options, including: professional communities, conferences, publishers, books, as well as online and classroom based educational institutions. She also provides tips for growing in your current position or moving on to greener pastures. For those that are well studied in UX, Buley offers a lot of practical advice for how to frame your work as meaningful, how to build a case for your work while simultaneously building a portfolio, and her book also acts as a quick reference for a lot of the tools that may get misplaced somewhere along the way. For example, maybe your current job regularly has you parsing massive data sets and of getting the most of your guerrilla research, but you realize you haven’t done a heuristic markup in ages. Not a problem. Each method is easy to find, quick to read, and even outlines important factors such as when it is best to use and how to get the most out of each method. The long-term value of this book is that in a matter of pages it offers a way to break out of your pattern and try different, appropriate techniques for whatever problem you’re facing. 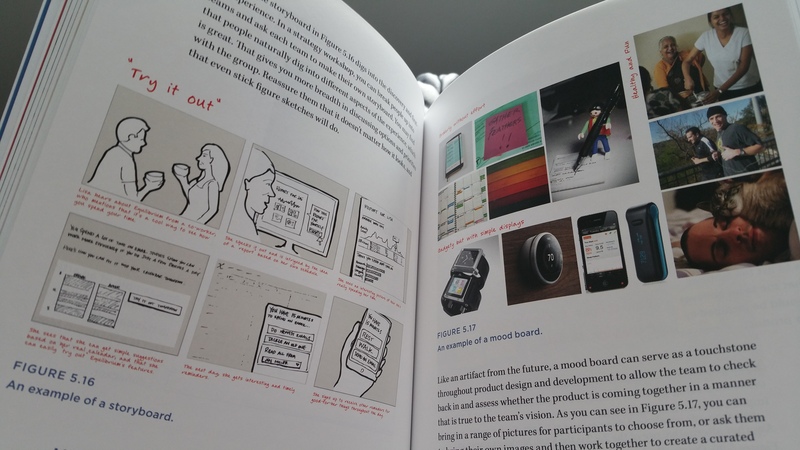 In short, if you’re a UX Designer who uses books, this book’s for you. Benjamin Myers is a Communications Specialist with AMEX International and an Instructor at General Assembly.